When your marketing department rounds up good inbound leads for your sales reps, but your sales don’t increase, it can leave you confused. If the leads are highly qualified, it can leave you confused about why your b2b inbound leads are not closing. On today’s episode of The Sales Evangelist, we’ll discuss the common reasons that your b2b inbound leads are not closing. When you’re spending large amounts of money on marketing campaigns only to find that the deals aren’t closing, it can leave you frustrated and confused. Today we’ll address why that happens. Your organization may be structured so that your sales reps spend about 60 percent of their time on outbound and 40 percent of their time on inbound. 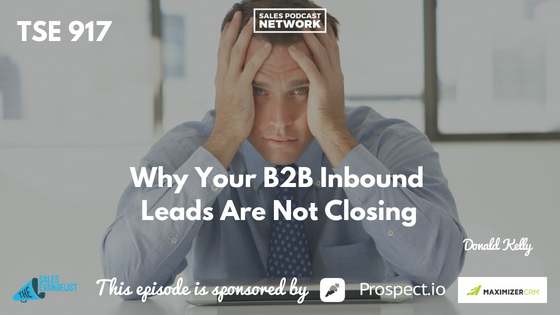 Very often, though, we’re finding that sales reps aren’t closing their inbound leads. Last week, I mentioned the importance of calling immediately after the buyer makes contact. If I’m doing research and I find your website, and I sign up and give you my consent to reach out to me, I shouldn’t have to wait 24 to 48 hours to hear from you. Put yourself in my shoes. I’m not going to sit here and wait for your company to respond to me. There are many other companies out there, and I’m making contact with multiple vendors at the same time. 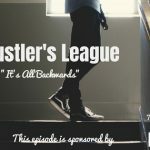 The people at insidesales.com shared that, when you get a lead, it’s imperative that you call that lead within the first five minutes. The lead is interested and ready to talk to you. The truth is, though, that only one in four internet leads are contacted, which could be the primary reason why your sales reps aren’t closing enough deals. They may not be reaching out to the prospect enough. Even if your sales reps are making that first call, they may not be calling additional times after that. Studies show that reps average between 1.3 and 2.1 call attempts, and that probably isn’t enough. You, as a sales manager, need to give them a flow process to follow. Your sales reps want more inbound leads, but that doesn’t mean that they know how to handle, guide or close those leads. It’s your job to give them a roadmap and show them the ropes. What are the steps to your flow process once a lead comes in? Will they make a phone call? Send an email? Reach out on LinkedIn? When will we leave a voicemail? Some people call this a cadence, but you need to have something that nurtures that lead for 14 days. You must have multiple attempts because your buyer isn’t sitting and waiting for your company to call back. Your customer has reports to take care of, a business to run, errands to run, meetings to attend, and a personal life to attend to. If you call me once and I don’t call back immediately, it doesn’t mean I’m not interested. Many people avoid calling multiple times because they say they don’t want to be pushy. While it’s true that buyers hate when sellers are pushy, there’s a difference between being pushy and nurturing a lead. Usually, being pushy involves repeatedly calling a cold lead who isn’t interested in what you’re selling. You’re trying to sell something that I don’t even want, and you’re badgering me. The difference is customer intent. If I have expressed to you that I’m interested in your product or service, that’s not the same as a cold lead. I’ve given you permission to contact me, so you have my consent to try to reach me more than once. Even if your lead is reaching out to other companies, that doesn’t mean the other companies are the best fit. It means you need to contact him and show him that your company is the best. Statistics show that it takes a minimum of 8 to 12 contact attempts within 10 to 14 days to connect with a prospect. Eight to 12. Now refer back to the statistic that said that most sales reps are making 1.3 to 2.1 attempts. It’s not enough. You’re leaving so much on the table and throwing away money. Don’t rely only on one kind of contact when reaching out to your leads. Take advantage of where your contacts are. If they’re on LinkedIn, reach out on LinkedIn. If they’re on Twitter, reach out to them on Twitter. Add those steps into your flow process. Make the phone calls and send the emails. Drop something into the mail. Do whatever you need to do to grab the prospect’s attention because your competition is doing the same thing. 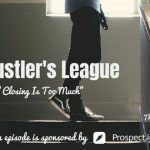 Once you get your prospect’s attention, your job is to pull that prospect out of the “dating pool” as quickly as possible so that he isn’t going around looking. Figure out why your prospect opted in. Determine what part of your messaging he responded to, and wrap your very first contact attempt around that message. Marketing and sales have to work together to communicate about these things so that sales knows what the prospect responded to. Educate both your sales and marketing teams about the details of the prospect. When your teams have that kind of alignment, you’ll be likely to close more of your inbound leads. Make sure your messaging resonates totally with their intent.